Is there no Brush Opacity Pen Pressure with a tablet? Is that right that Affinity does not offer opacity control via Wacom tablet pen pressure? Using a Huion tablet, no problem. Not true. You can set opacity to pressure changing flow in settings. Here screenshot - I am using Wacom tablet. Nope, I mean flow. I dont even know what accumulation is actually doing but by sliding flow I can change in opacity. Opacity and Flow are different. 'Flow Jitter' is for flow. 'Accumulation Jitter' is for opacity. If you keep drawing over the same stroke with flow using a light pen pressure, it keeps adding more 'ink' and therefore keeps getting darker. If you keep drawing over the same stroke with opacity (Accumulation) using a light pen pressure, it doesn't keep adding more 'ink' unless you lift the pen and put it back down or press harder. However, I'm not sure why it's called Opacity in the main interface brush settings, but Accumulation in the base brush settings. As for the main question cekuhnen asked - still not true ;) All is working fine with Wacom pen. Duh that is what threw me off. I did not make that connection. Also: Do not use HSL Jitters, because these override Accumulation preventing it to work properly, even if enabled. 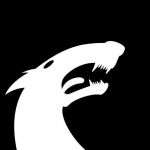 The HSL thing has been defined by AndyS as by design so far, but he also stated that will enable the full stack in the future. I just told this in because if anybody tries to customise one of DAUB tools with Accumulation (and accidentally the preset has its own HSL dynamics) could think of something "broken" whereas it is not. 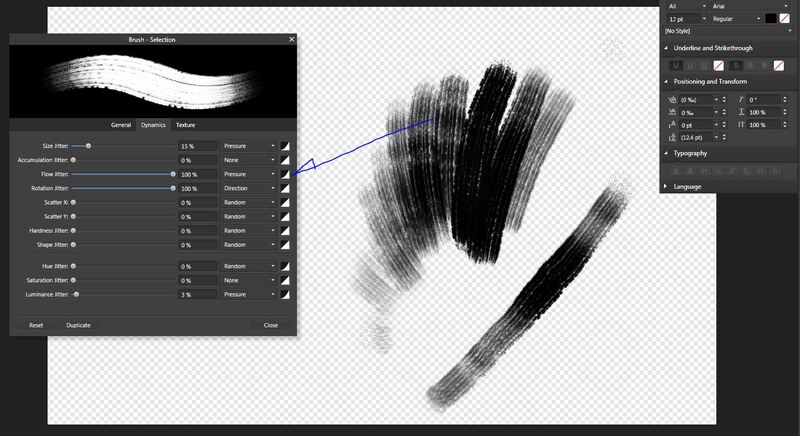 Accumulation Jitter (aka Opacity) is very important in digital painting, it is also useful for photo-retouching purposes. Let me clarify: the whole stack is the list of all the available jitters. The whole stack is not yet completed and it has been so since the very first release of AP and AD. So when the full stack will be enabled hopefully we could gain much more possibilities. It is only a matter of presentation. Being picky, since these parameters are not active, AP/AD should disable relative sliders. But the cross-disable behaviour is something very common. CSP does the very same in other context: if you enable Colour Mixing, blending mode and Opacity Jitter turn off automatically. 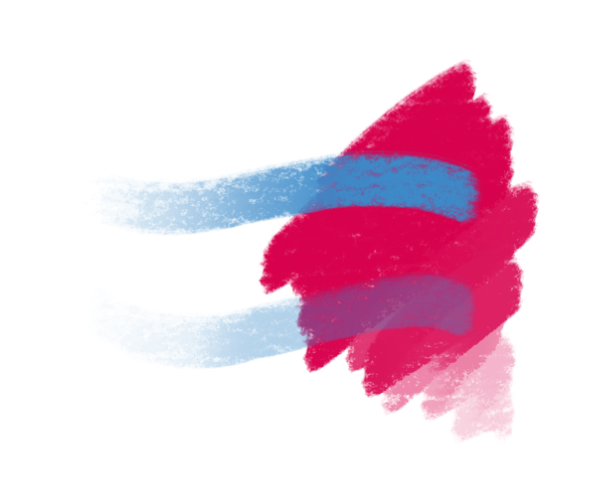 Also in PS if you decide to apply texture to each brush tip, texture control via pressure disappears. Because are different: opacity is fixed. Affinity basically allows you to use two levels of opacity. You can for example create a brush with accumulation dynamic that goes from 0 to 100% and also set the global opacity of this stroke at 50%.